Secret of Mana: great melodies, varied repetition, and…Indonesian music? One game like that is Secret of Mana (SNES, 1993). It was ported to Andriod last year and I just re-played it on my phone. When I mention that game in conversation, the first comment usually is “such good music.” The music is by Japanese composer Hiroki Kikuta, who was about 30 when he wrote it. What I thought I’d do this week is look at some of the individual pieces (or music cues) in Secret of Mana and analyze why they are effective (although I could probably talk about the game mechanics for a while, but that’s not what this blog is for). There’s a lot of music in this game, especially for a fairly short game of 20-30 hours, so I’m just going to pick a few pieces to analyze—and I’ll really only scratch the surface on those cues. Now, video game music, especially from this era of video games, is built on repetition. The trick is to make something that is repetitive 1) reward repeated listening so it doesn't get old, and 2) fit the character of the on-screen action. Let’s start with “Into the Thick of It,” a traveling piece early on in the game. The music needs to be inviting and fun, but also characterize traveling through a new and strange forest. The music is built on a repeating pattern, or vamp, that runs throughout the piece. Although this pattern repeats throughout, the (at least 4) surrounding parts keep changing. There are three main sections, which I’ll call A, B, and C. A has the harpsichord-like vamp with some high flutes; B keeps the same harpsichord pattern, but the harmony rises and changes. In C, the music returns to the first harmony, but with new melodies on different instruments. The countermelodies and orchestration on this section (and the previous two sections) are subtle meticulous. After one round through, the all three parts repeat. Now, the differences between these three sections generates enough interest for the music cue’s purpose, but here’s where the genius comes in: after two full cycles of ABC, a fourth section (D) comes in. This D section still has the same driving tempo and the same bass part (though thrown up into a different register), but also several new interlocking vamps in new orchestration. It’s really interesting, but it also feels rewarding when the music cycles back to A again. As for matching the character of play, the driving vamp moves along like a walking traveler, while the moderately-paced flutes match a woodland feel. The harmonic rise in the B section provides a little bit of tension to mirror the unfamiliarity of the situation, but the harmony soon settles back. Let’s look at another music cue: “A Bell is Tolling,” the music for the ice forest area. This music also has three parts (again, I’ll label ABC), and once again all three parts have shared musical elements: the harmony and the tempo is the same for all three. However, almost everything else changes. The A section is spare, with a crystal-like high melody over a legato chords, reminiscent of ice or coldness and also the solitude of a forest of dead-looking trees. The B section is a big contrast—three different very busy melodies all stacked on top of each other, the middle one staccato, the top one using a very effective echo between L and R speakers; the echo hints again at solitude and emptiness. The C section begins in a surprising percussion rimshot, and harsh percussion is added along with four new parts that all have very different timbres than the previous parts. This C section with its gritty percussion and increased dissonance seems to hint more at the danger of the situation (which the ice forest is). Finally, an extra few measures are added to the section and harmony to transition back to the placid A section, and the listener feels like they’ve made a journey or are at least reminded they are in an empty, dead forest. So, there’s a brief analysis. Kikuta does a great job at creating something that is very repetitive also very interesting by sandwiching in lots of melodies and changing up the orchestration, all with keeping some musical unity; the music also matches the game action. I could go on and talk about the Buddhist-inspired music cue with two overlapping melodies that don’t seem to fit together (“Whisper and Mantra”), or the cue where the percussion take the lead and has an almost YES-like guitar solo (“Steel and Snare”), or the modern-tech cue with a the time signature of 11 (“Prophesy”), but in the time I have left I want to write about Indonesian music. In 1993, when I first played the game, I didn’t know about traditional Indonesian music. But now, having played in an Indonesian ensemble for a year (and having recently joined another one), I realized two of music cues were inspired by Indonesian music. The first is Thantos’s theme, or “Ceremony,” which draws on classical gamelan, an Indonesian percussion ensemble. Just like a gamelan, this cue features gongs, a slow moving melody played in multiple octaves, and a second, faster elaboration of the melody. There’s some extra stuff, too, but it all fits in the character of gamelan music. The second musical cue (“Oracle”) uses kecak, which is an Balinese theatrical vocal form developed in the 1930s featuring interlocking vocal chants. This cues also features a very gamelan-like percussion melody. Now that I recognize the influence, I’m torn between two responses: on the one hand, I’m impressed that Kikuta knew and borrowed from esoteric Indonesian music for a kids’ video game. But I’m also a little distressed that both these music cues are for the main evil villain, Thantos; the first cue for the areas he’s in, the second for when you fight him. Kikuta is using this strange, different, other music to scare us—the first cue in a “this is weird” way and the second in a more conventionally scary way, as people are shouting quickly at you while you are fighting a big skeleton that is on fire. Really, this music is just from a different culture, and I hope that others who heard this don’t associate mind-sucking liches with Indonesians. I lean toward my first response, though. But getting back too the beginning quote, what about the awesome theme song? This game had me at the opening credits. To end, here’s the opening theme, a.k.a “Fear of the Heavens,” presented without analysis. Enjoy! Why is classic video game music better? A couple of months ago, I wrote a post about video game music. Today, I’m going to tackle one of the questions that came up in that post: why is classic video game music considered better than more recent video game music? And second, this interview from Sami Jarroush on from the website Consequence of Sound (start at minute 12 if you don't want to watch it all). The main arguments both these video clips make is that the older music is simpler, more hummable, and therefore more memorable. And I think this point rings true, in most cases. Video game composers back then had almost only one tool—melody. So the composers HAD to create melodies. Some of the composers created good melodies, and those melodies are easier to remember than much of the video game music presently composed. Today, with the orchestras and technological bells and whistles, composers have the choice of creating more atmospheric music, or slower-moving music where the interest is more in texture than melody, than they did with just 8-bit technology. While the atmospheric approach is often used effectively, the lack of melody does not lead to memorable music. But besides the melody issue, both videos miss another major reason these classic video game themes endure. It wasn’t just the melodies that made the music great—it was the orchestration. Even when a console can only produce three notes a time, orchestration and accompaniment matters. Try to imagine how the Super Mario or Zelda themes would sound with only the melody. The truth is the arrangements of the earlier 80s tunes, as 8-bit as they were, actually did enhance the melodies and made them more memorable. 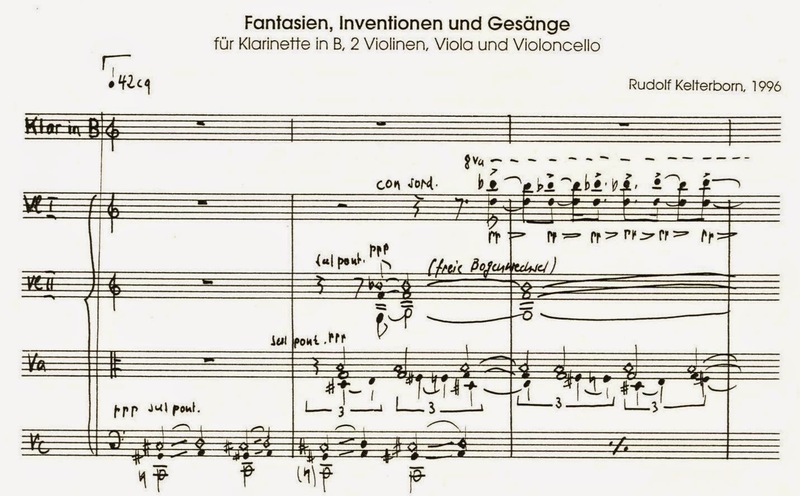 I would postulate that if the composers had written the melody without the cleverly-composed and orchestrated accompaniment, these melodies would not be as well-remembered as they are now. Case in point: Extra Credits claims that John Williams is famous for his movie music melodies, which is true. But he is just as famous for the orchestration of his melodies. What do I mean by orchestration with only three notes at a time? First, like any good composers, they wrote melodies that fit the instrument. These melodies had mostly short, quick notes, because those sounded better coming from their synthesizers. The composers also had effective accompaniment that added to melody. While timbral options were limited, the composers made important timbral choices when they could. Timbre is affected by how high or low a pitch is, and so the range of the melodies was also very much an issue these composers considered. And those accompaniments are often pretty complicated. I do like Sami’s point about video game music as a trigger for memory (minute 13). I think if Super Mario Brothers had been a supremely bad game, we would not remember the music. However, because it was a good game, and because the music matched what actions were happening in the game (another huge issue that I’m skipping here), the music and the game elevated each other. Extra credits makes the mistake of comparing video game music to movie music. There are major differences: Movie music is meticulously crafted and timed, while video game music for the most part is built on repetitive loops and is calculated evoke feelings and moods over times, and these moods change as the player interacts with the game. Sami’s guest Danny (minute 16) explains well the distinction between movie and video music (though Sami doesn’t seem to get it). Extra Credits’ analysis of the Halo theme music doesn’t actually help prove their point. Actually, the analysis does more to support the [strong melody + strong orchestration] argument than the solely strong melody argument. And I don’t think the male chorus line or string parts are actually that hummable. While I think that this is probably the case, neither video proves that there aren't as many memorable melodies in video games today as the 80s. As Extra Credits mentions, the people that composed good 8-bit music continued to compose effective music when they got more resources and some still write today. Perhaps the biggest difference is that the video game audience is more fragmented, with a huge choice in what they play, and so not everyone experiences the same melodies as they did in the 80s. Anyway, good ideas in both videos, but also some big holes. I do think Extra Credits' final point is well made, though: we do have good video game music today. But if video game composers want their music to be remembered years from now, they might put a little more effort into their melodies and accompaniments. Next week, I’ll continue my video game music discussion and talk about Secret of Mana (1993, Super NES), and why I think that music is so effective. This week, I'm guest contributing to MusRef, a website hosted by the Brigham Young University Library. MusRef is a reference source about musical reference sources (so meta! ), meant to be the web update of the venerable Music Reference and Research Materials: an Annotated Bibliography by Vincent Duckles and Ida Reed (last published as the 5th edition in 1997, commonly referred to as simply "Duckles"). MusRef highlights music reference sources on their blog, sources both print and electronic. I was asked to write a post for the blog about a website I spent several months out of last year constructing, called the Clarinet Quintet. Read about it on MusRef. My only resolution this year is to have more people write guest posts on this blog. If you want to review an album, write about a noteworthy instrument, or just have a musical topic you want to get off your chest, please email me at signifyingsound (at) gmail.com. I'll send you some basic guidelines and we can work from there. I am also interested in guest blogging elsewhere myself; however, I have to admit I am somewhat at a loss to find other blogs like this one. I turn to a few sources to get music news, such as NPR music, the Guardian, Pretty Much Amazing (PMA), Pitchfork, and Stereogum. These sources are not really blogs, though—they are magazines or large news organizations that employ many people and whose primary mission is to review or spotlight new music. Besides that I only know a few music bloggers: Jaren Hinckley's I'm Listening to Everything (good, though does not post often) and Alex Ross's The Rest is Noise. Are there any music blogs or other music information sources that you love? Also, if there’s a musical question or conundrum that you would like me to blog about, feel free to let me know!